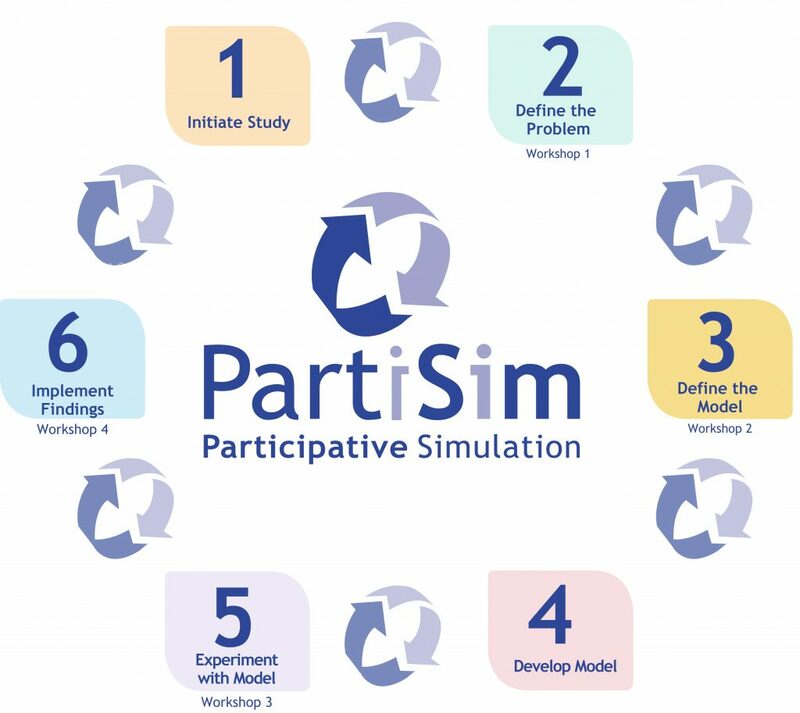 The PartiSim experience is designed to be inclusive, which means it must also be relevant to those involved in the modelling project. After all, no model can claim to be genuinely effective if the people who are expected to solve their problems cannot begin to make sense of it. As with any modelling process, confidence comes with practice. Here we explain a little more about the PartiSim process and its six individual stages. A dedicated toolset, which consists of the User Guide and the tools to support each stage is provided in the Get PartiSim page.